What do you think of your boss? 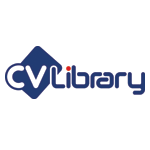 According to the latest data from CV-Library, the UK’s leading independent jobs site, the majority of Brits (80.9%) get on well with their managers. In fact, half (50.1%) revealed that at one time their boss, has gone above and beyond to do something nice for them. Furthermore, the survey of 1,000 professionals found that the majority (90.9%) believe it’s important to get along with your manager. In a bid to uncover some of the nation’s kindest bosses, respondents were asked to share their stories of the nicest things their manager has ever done for them. Sam from London: I had an important meeting in Paris on the same weekend as my anniversary. Knowing I was upset, my boss paid for a hotel and plane ticket so my wife could fly over and join me for the weekend. Ethan from Aberdeen: When I lost a loved one my manager told me to take as much time off as I needed, all fully paid, and even contributed towards the cost of the funeral. Iwona from Leeds: I was made redundant and the business was sold. As part of the sales agreement my manager added a clause that said the new owners would have to employ me for at least a year so I wouldn’t be out of a job. Aaron from Islington: After being assaulted I was left unable to work for six weeks. My boss gave me full pay throughout this time and even came by my house to see if my wife needed help with anything. Beth from Kidderminster: I was going through a difficult time, so my manager surprised me and my family with a holiday, which she had paid for with her own money! However, despite the majority having a good relationship with their manager, one in five (19.1%) confessed that they don’t get along with their boss. What’s more, 48.8% also revealed that they’ve left a job in the past because of a bad manager. Shaunie from Swansea: I’d been at a new company for a few months when my manager asked me out on a date. I declined and a week later was let go. He said I hadn’t met the terms of my probation period, despite being pleased with my work up until that point. Ruth from Bournemouth: My boss was addicted to gambling and one particularly bad day after he’d lost on a few horses he threw his keyboard across the room, narrowly missing my head. He apologised, but I’d already decided it was time to leave! Daniel from Aberdeen: My previous employer asked me to take bribes from clients. Needless to say I knew it was immoral and left the business a week later. Jay from Newcastle: I went into work despite feeling unwell. Later that day I told my manager I thought it would be best if I went home. She told me that I could leave if I wanted, but it might damage my chances of landing the promotion I was up for. Emma from Edinburgh: My boss was in an accident and was unable to work. I was putting in 12 hour days to cover both of our workloads. But when his role became available for interim hire he refused to recommend me. In fact, he actually gave me the first (and only) bad review I’ve ever had! If you’re looking for a new role (or boss), search over 186,000 vacancies right now!